The home of future dictators! Mesopotamia is located in Iraq and Syria (part of the Middle East) and was known as the "Cradle of Civilization" because the first civilization began there around the year 3500 BC. The southern region, called Sumer, became the world's first civilization. 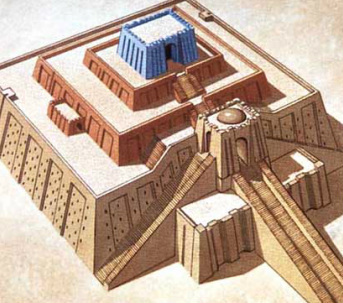 The Sumerians built walled cities and temples called ziggurats. 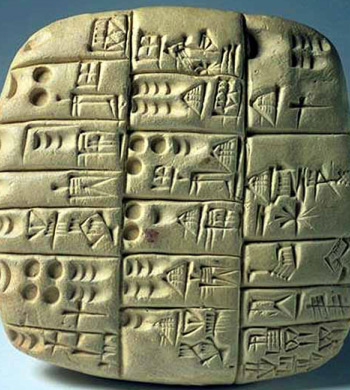 They developed the earliest known writing called cuneiform around 3000 BC. Writers carved wedge-shapes into wet clay tablets that were baked in the sun. (The Latin word cuneus means "wedge".) It used pictographs (pictures) and had over 600 signs. 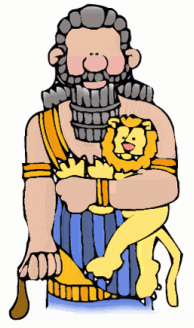 The Sumerians wrote the oldest story, the Epic of Gilgamesh, about King Gilgamesh and his quest for immortality. Because Mesopotamia was flat and lacked natural barriers, its wealth attracted many raiders. Around 2330 BC, the Akkadians conquered Sumer. Ruled by Sargon I, they united all of Mesopotamia. In so doing, they create the first empire in recorded history. Around 2100 BC, the empire grew weak and fell. The city of Babylon seized power under King Hammurabi. He helped unite the empire by publishing the Code of Hammurabi, history's first known written set of laws. Today, the Middle East is a key oil-producing region. It has seen its share of conflicts, like the Arab-Israeli conflict and wars between the U.S. and Iraq in 1991 and 2003. Does "ziggurat" sound like a French pronunciation of "cigarette" to anyone else? Mesopotamia is between the Tigris and Euphrates Rivers. The name Mesopotamia means "land between the waters". 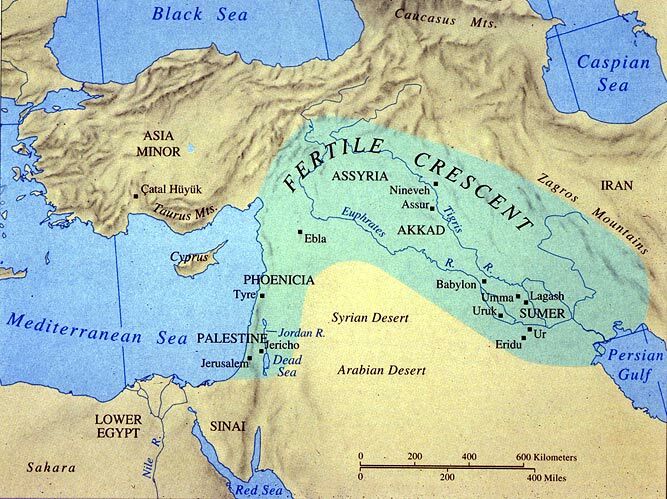 It was also dubbed the "Fertile Crescent" because of its very rich soil. We can find the beginnings of religion in Neanderthal burials that included food for the afterlife. Religion may have begun as a way to cope with misfortune and an awareness of death. 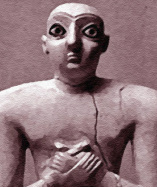 Early religions usually worshiped several gods, which is called "polytheism". Sumerians believed their gods ruled the cities, making them a theocracy, which is a government ruled by a divine authority. Since the gods' power passed into the hands of kings, Sumerians saw their kings as divine. language would have been Sumerian. The Sumerians used a numerical system based on 1, 10, and 60. The way of writing a number like 70 would be the sign for 60 and the sign for 10 right after it.